The truth is, that in order to achieve your wildest dreams and goals you must first start at the ultimate starting point: your brain. In this first episode of a series called “Success Starts Here”, Dr. Daniel Amen and Tana Amen discuss the importance of laying the best possible foundation for success by optimizing the physical function of the brain. Dr Daniel Amen:	Hey everybody. We are so excited to start a new series called Success Starts Here and obviously what we mean is between your ears that there have been so many books about success and almost all of them that we've ever heard of or ever read, ignore the most important organ that's responsible for success. Tana Amen:	Yeah, it seems to me like they probably don't never have taken it into consideration or don't know because they focus on things like habits or relationships or, but they don't think about the fact that those things won't ever be better if you've got a brain problem. And I never really understood the impact of this either until I started to see you at work when we started dating, I was so sort of fascinated. Dr Daniel Amen:	Well that's what's kept you here for 12 years. Tana Amen:	Well that's not what's kept me here, but it did fascinate me. Tana Amen:	I almost did. Dr Daniel Amen:	Because I was a psychiatrist. Tana Amen:	'Cause the ones I had met, have not been helpful. Not at all. Dr Daniel Amen:	So in our society I think, we think, that we have the notion of success and failure backwards. Dr Daniel Amen:	We've been taught that if you dream big, work hard, have passion, purpose, and a positive mindset, if you learn from your mistakes and persist, you can be anything you want in life. Unfortunately that's just not true. Tana Amen:	And it's sad. Dr Daniel Amen:	It's a myth. Tana Amen:	It's sad and it's hard. Dr Daniel Amen:	And if the physical functioning of your brain is not properly balanced, no amount of training and harder using success principles will get you to where you want to be. In fact, based on the brain imaging work we do here at Amen Clinics, we discovered that the harder some people try, the worse things actually get for them. That their brains actually drop in activity when they try. And so they try and it doesn't work, they try and it doesn't work, they try and it doesn't work, and then they say, "To heck with it." And they stop trying. Tana Amen:	And they probably feel demoralized, I would think. Dr Daniel Amen:	It's a concept that Martin Sleigman has, he's a psychologist who majored from the University of Pennsylvania, called learned helplessness. Tana Amen:	I like that term. Dr Daniel Amen:	As bad. Tana Amen:	See you ... think you can't do it so what the heck. Dr Daniel Amen:	Or they blame you as lazy and so on. So it's really counterintuitive to what most people have taught. But any program or book on success that ignores where success truly starts in the physical functioning of your brain is doomed to failure because anyone who tries to follow these steps to success, will not be able to focus, remember, or implement the strategies on a consistent basis. Tana Amen:	I love this story. So I'm gonna digress for one second 'cause this is really cool. You're right, I almost canceled my first date with you. I actually didn't know who he was. I did not know who you were when we went out. So unlike a lot of people that recognize him or know who he is, he wasn't on PBS at the time. Dr Daniel Amen:	I like it that you didn't know who I was. Tana Amen:	I'm sure you probably did, didn't you? But I felt like an idiot when I actually found out. So three things happened within a couple of weeks. One, you invited me to hear you speak and I show up and there's these like over 1,000 raving fans running up with their books to be signed and I'm like, "I think I missed something. What's going on here?" That's always kinda funny. And then the second thing was maybe it was a week later or so, we were walking and this woman came running up to you and she was crying and she said, "You saved my sons life." And I'm like, "There's something super cool going on here. This is really interesting." And there was one ... there's this story where one of my friends calls me and she's got a child who has always been trouble. She's one of Chloe's little friends when they were babies. But this child was growing up to be troubled. We could see it from day one. It was just, she wasn't like other kids, right. Getting in more trouble, which is screaming, falling, just not the same and not doing things the same way other kids were doing. And so she calls me one day and she says ... she was pretty successful and so she was trying really hard to get into the places that she knew would be helpful. She'd done a lot of research and she calls me and we'd only been dating like a month. And so she says, "I finally got into this doctor I've been trying to get into see for over a year. He won't take new patients. Like I, no way in, and I finally was able to, through someone I know," We're like, "Get her in to see this doctor." And I'm like, "Oh." I go, "That's really cool." She said, "Yeah, he's like this amazing child psychiatrist." She's like going on and on. And I'm like, "Oh that's really cool." I go, "Well let me know." I said, "If you wanna talk to maybe just have me mention this to the guy that I'm dating. I'm dating a child psychiatrist. Maybe he'd have something to say about it." She's like, "Nope. I already like, it took me so long to get this appointment. I already, I've got this covered." I'm like, "All right." She's like, "But who are you dating?" And I mentioned your name and she literally starts screaming on the other end of the phone. It was you she was talking about. So I was like, "Wait a minute. How am I missing all this stuff?" But the final thing, so I said there was three, there's actually four. The final thing was this, and it all sort of happened pretty close together, all these things in succession and I had to take a step back and go, "Wait. This is really cool." So it got my attention and it takes a lot to get my attention, I'm not easily impressed. Someone wrote you a letter and it was amazing. And I was astounded actually by this letter. And so it's one of my favorite stories of all the things that you've done, we've got a lot of really great stories, but I wanna read it because it was one of the things early on that just really hooked me. So this is Dale, okay, this is the story of Dale, he' brought to the clinics in shackles at the age of 17. And by all accounts, he just, this guy was failing. He was failing in life, he was failing, he wasn't getting a job, he hadn't done well in school, he'd been kicked out of his house, and now he's in jail. So here's his story and we have permission to read it. It says, "Dear Doctor Amen. I am the mother of Dale Bram who was treated at Amen Clinics in 1999. Dale was in trouble with the law and brought to the clinic in North California in shackles. After he was evaluated, scanned, and treated, Dale was able to be gainfully employed for a year in retail sales. He then joined the Army where he excelled. After basic training, Dale became a Special Forces Army Ranger. Dale was able to make a success of his life because of the treatment he received. "Dale was killed in action in Iraq on March 18th 2006, just three days before his 24th birthday. We take great comfort in knowing Dale died a hero. I thought you might be interested in the part you played in this hero's life. Dale was buried at Ar" ... my eyes are starting to water. "Dale was buried at Arlington Cemetery with great honor. Here is part of the Department of Defense release press on Dale's death" Or press release, sorry, "on Dale's death. A Ranger team leader, Brim was a six time veteran of Operations Enduring and Iraqi Freedom." "His awards and decorations include the Army Commendation Medal for valor, Army Commendation Medal with two oak leaf clusters, Army Achievement Medal, Armed Forces Expedition Medal, Afghanistan Campaign Medal, Iraqi Campaign Medal, Global War on Terrorism Expeditionary Medal, and many more. He was posthumously awarded the Bronze Star Medal for valor, Purple Heart, and two Army Commendation medals." "Thank you Laura, proud mother of Sargent Dale Brim." Dr Daniel Amen:	And so when you think about failure, I mean, he was there. I mean, there's just very few things besides being in an orange jumpsuit and shackles and being put in a cage. Dr Daniel Amen:	But that is the ultimate of failure and being a decorated war hero, dying serving your country, is the ultimate in success. Tana Amen:	And I know there are people who, they just the automatic thing is, "Well he died. And he died young." Someone headed down that road was likely to not have a very long life and if they did, it wouldn't have been a very good life. But not usually a long life, by all statistically speaking. He died doing something with purpose, something amazing. Tana Amen:	That he was good at. Dr Daniel Amen:	Mission that was greater than himself and rather his mom and dad hating themselves because he didn't turn out the way they wanted to. He was able to make them proud. And I'm informing ... informing, I'm a former infantry medic, U.S. Army, third Armory Division. After I got out, went to medical school, I went back, and did my psychiatric training at the Walter Reed Army Medical Center. Tana Amen:	Yeah. It really bothers me, it's something that burdens my heart that we need to do better with our veterans. 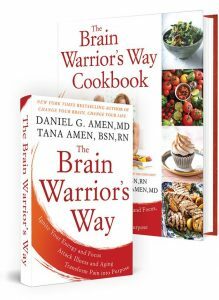 Tana Amen:	So do I.
Dr Daniel Amen:	And we don't do a good job of taking care of their brains. But ask yourself, so where does success start and so if we think of the things of success, where does happiness start in your brain? Where does feeling relaxed or stressed out start? Dr Daniel Amen:	In your brain. Where does a healthy body or obesity and diabetes start? 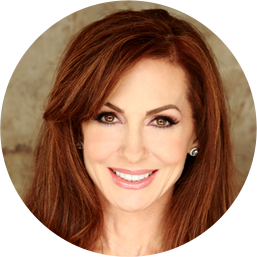 Tana Amen:	Your brain's related to motivation, purpose, absolutely. Tana Amen:	And being able to focus. 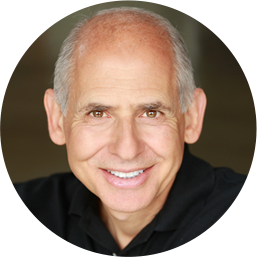 Dr Daniel Amen:	Where do great relationships start or where do abusive relationships start? Dr Daniel Amen:	And I know for you, I mean, that was sort of a new idea. Tana Amen:	It was a very new idea. But it made sense. Dr Daniel Amen:	Where does getting into the college of your dreams start? Or where does dropping out of school start? In your brain. Where does financial success or bankruptcies start? In your brain. In the moment by moment decisions you make every day. Where does all success and all failure start? Between your ears. So you shouldn't take care of your brain because it's sort of a cool thing to do. It's absolutely an essential thing to do. Tana Amen:	So, and I know some people listening because I know I've been through some really hard health challenges and things like that, that are some people who are gonna hear this and they're going to say, "But nothing in my brain would have changed the fact that I got X disease or that I got" ... in my case, the type of cancer I got, or whatever. But I'm gonna push back a little bit as somebody whose been down that road to hell and depressed and all those things. I didn't have this information so I didn't know and I couldn't be my own advocate. But the truth is, I could have gone through that easier, recovered faster, and made a lot better decisions had I known. Dr Daniel Amen:	Well psychiatry is really a brain-less, organ-less profession. Tana Amen:	And I will say this, It's ridiculous. Dr Daniel Amen:	Are you supporting them. So we're gonna talk about that. Tana Amen:	So what I hear you saying is that you actually can control and help yourself feel more joy or less joy by the decisions you make? Dr Daniel Amen:	And by the habits you engage in that are good for your brain or bad for it. Tana Amen:	Right. That's cool. Tana Amen:	I know, we need to do one on women behaving badly, too, though. Dr Daniel Amen:	Well having five sisters, absolutely. Then we're gonna talk about change, podcast called Embrace Change. The brain hates change, but you can turn your ruts into super highways of success, we'll talk about how to do that. The next one, unmask your mind, how to feel happy and present while conquering worrying and negativity. Dr Daniel Amen:	To react. We're gonna get the monkey mind train and under control. We'll talk about connect, how to reinforce, how to use your brain to have better relationships. And then I think my favorite podcast is Think Different, when people do bad things, ask why, then get them help. Sort of like Dale. We're gonna talk about fueling success so here your work with nutrition will be the star. And finally love your brain so you can love your life. How to engage in the habits, it'll boost your energy and keep your brain strong for a lifetime. It's your brain. You remember in 1992 when Clinton was running for President and his campaign manager, James Carville came up with, "It's the economy stupid." Right. It does not other message mattered. And I've often thought since then, it's the brain, stupid. It's like focus, keep it clear. It's the brain. Tana Amen:	And protect it. Dr Daniel Amen:	Love it. Stay with us. ← What Can You Do When Abusive Behavior Is Present?